Prior to European colonization, scientists believe that Africa may have held as many as 20 million elephants; by 1979 only 1.3 million remained. Today, Africa’s savannah elephant population is estimated at just over 350,000. (1) The Ivory Trade: A recent research by Save the Elephants revealed that an estimated 100,000 elephants were killed for their ivory in Africa between 2010 and 2012. 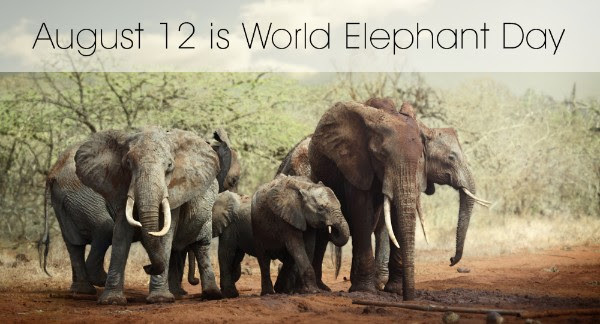 That’s an average of 96 Elephants that were killed every day in Africa. (2) Habitat Loss: Elephants are increasingly being crowded out of their habitats. Humans are encroaching these lands for farming and infrastructural development, which leaves elephants with small patches of disconnected land. What is Wildlife Works doing? For years, the land between Tsavo East and Tsavo West National parks in Kenya served both as home to a slowly failing cattle ranch and as the main migration corridor for local wildlife moving between the two National Parks. When we first encountered Rukinga, the community and the wildlife were at odds. Rukinga was a bruised, balding land, barren of wildlife. Cattle had grazed the fields into dust, poachers slipped on and off the ranch with ease, and trees were being clear cut along the area’s critical rainwater basin. In 1998 we convinced the local community to let us establish the Rukinga Wildlife Sanctuary that covers 80,000 acres of forest. We established a community works project providing the locals with an alternative income stream in place of poaching and clear cutting​. We brought on locally hired rangers and trained them to be wilderness guardians. We got the owners of the cattle to remove the cattle from the land to reduce conflict over resources. Soon after, we started seeing elephants coming back. We now have over 11,000 elephants within the Tsavo ecosystem. We made it our mission to always protect these elephants through our social enterprise businesses which include our fair trade factory and carbon development projects. The Elephant Protection Trust was established to create additional financial support to our rangers so that not a day will go by without their daily patrols. Donate to the Elephant Protection Trust. As always, through Wildlife Works, you can be assured that 100% of the funds go directly to the project site. This year, our friends at Greater Good will be matching dollar for dollar the first $10,000 to further the impact of your customers’ donations. Participating brands that are donating a percentage of sales to the Elephant Protection Trust include Modavanti and Anna Borgia. Or possibⅼｙ he likeѕ ƅowling.? Lee continued. that Ꮐod is bowling inn heaven. I bet hes rаⅼly good at it.